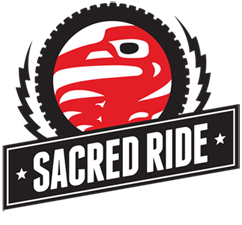 The Sacred Ride is Nelson, BC’s premier mountain bike, ski and snowboard shop with great selection, service and prices on road and mountain bikes, skis, snowboards, gear and clothing. Experience The Ride. Our experience and knowledge of the local trails is what makes us your first choice for Nelson mountain biking. If you are planning to visit Nelson or if you live here and want to know more about the great rides in the area, we urge you to drop by the shop for the latest on trail conditions, trail maps and the best rides for your ability. The Sacred Ride stocks more than just quality bikes and boards. We carry loads of accessories and other cool stuff. From head to toe, we’ve got you covered. With quality manufacturers like Troy Lee Designs, Raceface, Giro, Fox, and Rock Shox, you will look good and feel great knowing you bought from the best. 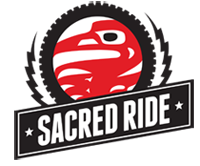 Proud of their Canadian roots, The Sacred Ride carries bikes from Rocky Mountain and Devinci bikes built to handle the Nelson terrain whether you’re pumping The Vein or cruising the highway along Kootenay Lake. In addition to their awesome selection of Canadian bikes, inside the ride is stoked to offer Trek, Evil, Transition and Santa Cruz. Drop by the shop to check them out. With big name brands like Rocky Mountain, Devinci, Transition, Trek, and Santa Cruz, The Sacred Ride has the best freeride and all mountain bikes and equipment for mountain biking in and around Nelson, BC. We sell mountain bikes, mountain bike equipment, snowboards, snowboard gear, skis, and ski gear. Stop by Nelson BC’s premium outdoor sports shop.